The walk on British-influenced Moscow: From the Red Square to St. Andrew's church. From the Bolshoi Theatre and the Kremlin’s Spasskaya Tower, to the Metropol hotel and the social club on Tverskaya, several buildings and spaces in Moscow have preserved the memory of British influence in the city’s history. The first known Brit to visit Moscow was Richard Chancellor, who accidentally reached Arkhangelsk in August 1553, while seeking the North Sea route to India. This was reported to the Russian czar at the time, Ivan IV, who invited Chancellor to Moscow, treated him as an important guest and agreed to establish duty-free trade between the two countries. Thus, the first Englishmen to begin living in Russia were mainly merchants; they used a stone chamber-house not far from the Kremlin (on 4 Varvarka) as their residence. The house also served as a storage chamber and the English Embassy. One of the rare remaining examples of 16th-century architecture, the building now houses a museum called The Old English Court, which was opened in 1994 by Queen Elizabeth II and Prince Philip on their visit to Moscow. Englishmen and Scotsmen worked in Moscow as merchants, doctors and craftsmen. Their skills were in demand in the 17th century—a time of rapid technical development for Russia. Scottish architect and engineer Christopher Galloway was hired by the first Romanov, Czar Mikhail, to assemble a clock for Spasskaya Tower. The clock was unusual: The dial-plate moved and its only hand stood still. 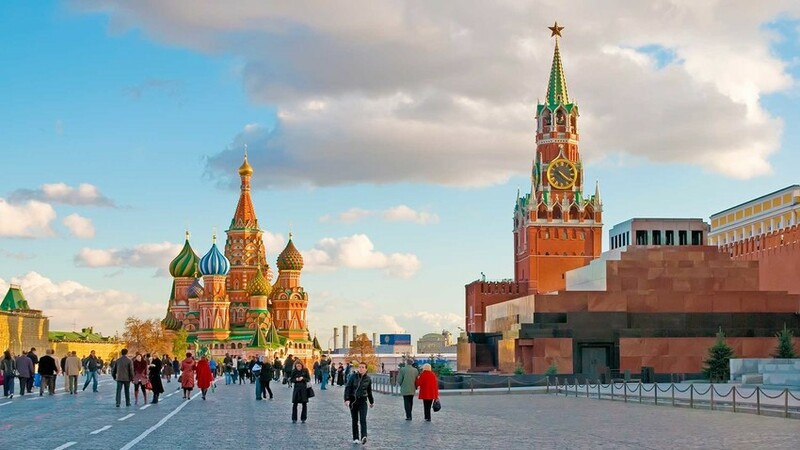 Galloway explained that, “the Russians are unlike other nations, so their clock should be different from the others.” In addition, Galloway contributed to the image of Spasskaya Tower by creating its famous tented roof in 1626. In late-17th-century Moscow, the British were mainly living in the German Quarter on the banks of the Yauza River (contemporary Basmannyi District). Peter the Great, who frequented the German Quarter as a boy, later had Scotsmen at his service: Patrick Gordon, the best foreign general in Russian service; and James (Yakov) Bruce, the general, engineer and scientist who is still remembered in Moscow to this day. The latter’s house was situated near Sukhareva Tower (demolished in 1934) —a spectacular 196-foot building from 1695, located in where Sukharevskaya Square now stands. Bruce hosted the first Russian astronomy school, which used the tower for observations; he also executed experiments in chemistry and predicted the solar eclipse of 1709—all of which made Muscovites believe he was some kind of warlock. In reality, James Bruce was a senator, a minister in the Russian government, and a fearless war commander who accompanied Peter I on his harshest campaigns. His descendant, Yakov A. Bruce, was governor general of Moscow (1784-1786) and the first governor of Moscow to inhabit the house on 13 Tverskaya, which has been the residence of city’s head ever since. As the English manufacturers and merchants multiplied in Russia, they found themselves in need of a social club. On March 1, 1770, the first English club was organized in St. Petersburg. One year later, an English club opened in Moscow. In 1831, the club moved to a permanent location on 21 Tverskaya, which was the former palace of Count Razumovsky. The club boasted a huge library of Russian and European periodicals, and the club’s cuisine was considered the best in Russia. Many famous Russian writers and officials were members of the club, including Alexander Pushkin, Nikolay Gogol, Mikhail Kutuzov, Leo Tolstoy and others—so the club certainly had an influence on Russian culture. 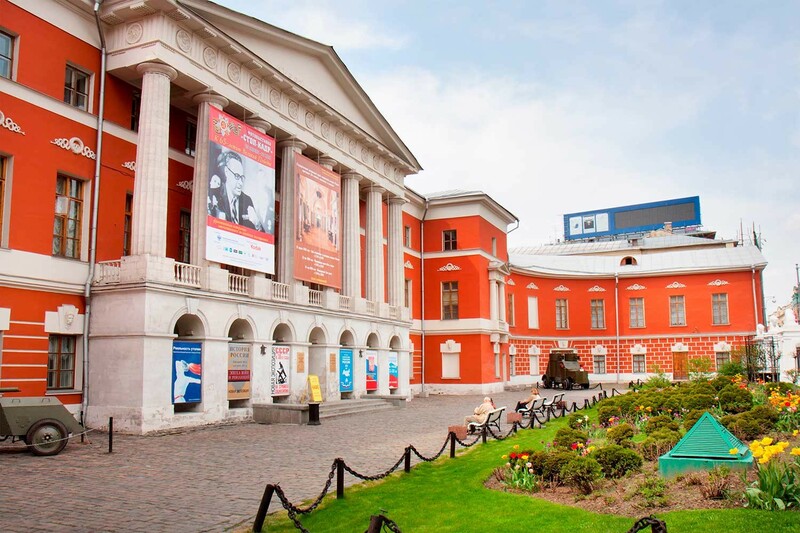 Today, the building of the club houses the Museum of Contemporary Russian History, with some historical interior still intact. In the 19th century, the number of Englishmen in Moscow increased, along with industrial growth and the rising popularity of the English language among Russian nobility. The British society of Moscow now required an English church, which was founded in 1829 as a chapel on 8 Voznesensky Lane. In the 1870s, it became clear that the chapel was too small for the growing parish, so a new Victorian gothic building—designed by English architect Richard Neil Freeman—was erected in 1884. The church was sanctified in the name of St. Andrew, as the most important people of Moscow’s British diaspora were Scottish. Apart from a church, the building also housed a library, meeting room and an archive. The church was closed in 1920, and, in Soviet times, it was used as a dormitory. 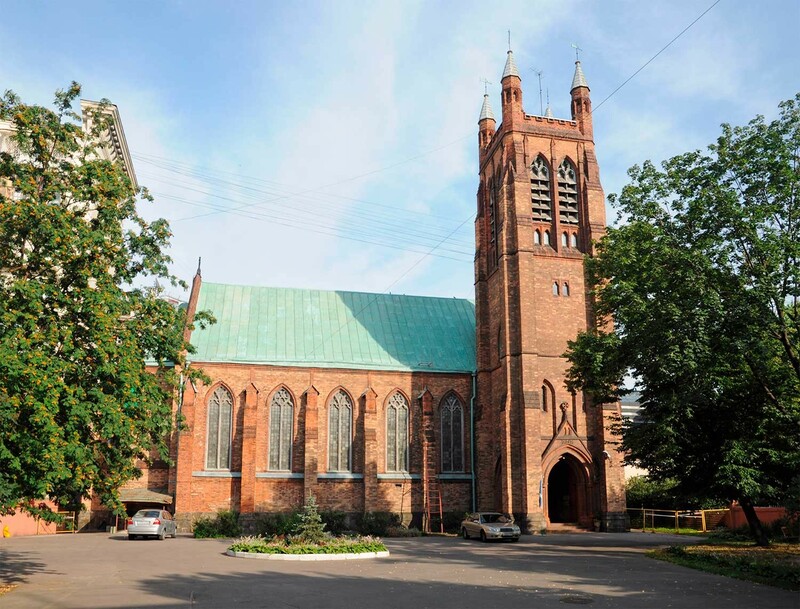 Later, because of the fascinating acoustics of the building, the church served as a recording studio for Melodiya—the Soviet Union’s largest record label. The church re-opened in 1991, and, in 1994, it was visited by Queen Elizabeth II and Prince Philip. Another symbol of Moscow, the Bolshoi Theatre, began its history as an Englishman’s enterprise. In 1776, Petrovsky Theatre was opened at this location by English entrepreneur Michael Maddocks. The theatre was a huge success, as it was open to the wider public, not only to the nobility. Petrovsky Theatre hosted 425 plays before it burned down in 1805. 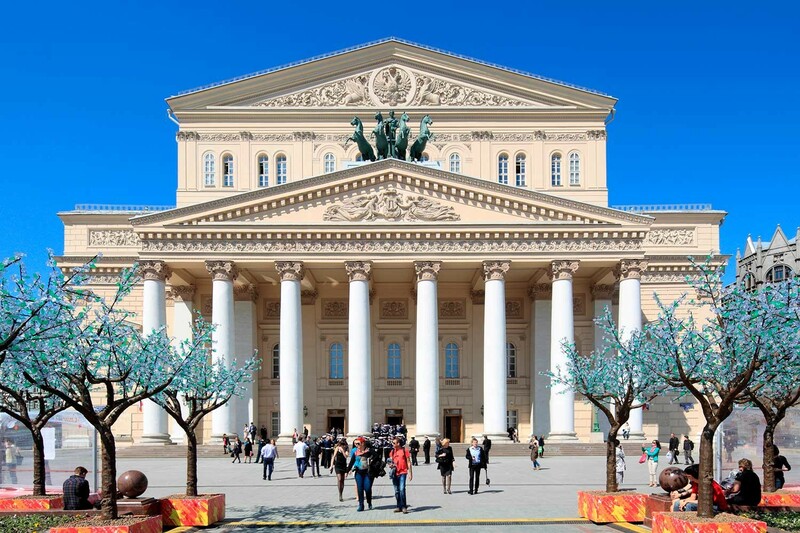 Its foundation and three walls were used as a base for the famous building of the Bolshoi Theatre, which was designed by the Russian architect Osip Bove. Michael Maddocks later retired and became the head of a big family, whose descendants live in Russia to the present day. In 1898, Savva Mamontov, a famous Russian merchant and patron of the arts, opened a contest for a project involving a hotel and cultural center to be located across the square from the Bolshoi Theatre. The jury awarded the job to renowned Moscow architect Lev Kekushev, but Mamontov himself chose the project of English architect William Walcot. After Mamontov was jailed for fraud, the building site was taken over by Petersburg Insurance, and Kekushev was assigned as a co-architect. Walcot and Kekushev hired outstanding artists and architects—A. Golovin, V. Vasnetsov, K. Korovin, N. Andreev and others—to decorate the building. Metropol became the largest pre-Revolution hotel, famous for its magnificent “Princess of Dreams” mosaic panel by Mikhail Vrubel. William Walcot was also the architect of Gutheil House (8 Prechistensky Lane) and Yakunchikova House (10 Prechistensky Lane), and a dormitory for English governesses at 9 Spiridonievsky Lane—all very fine examples of English decadent art nouveau architecture.